The Rab Fulcrum Pants Women’s are a super lightweight, quick-drying, and stretchy softshell pant for climbing and mountain use in warm conditions. 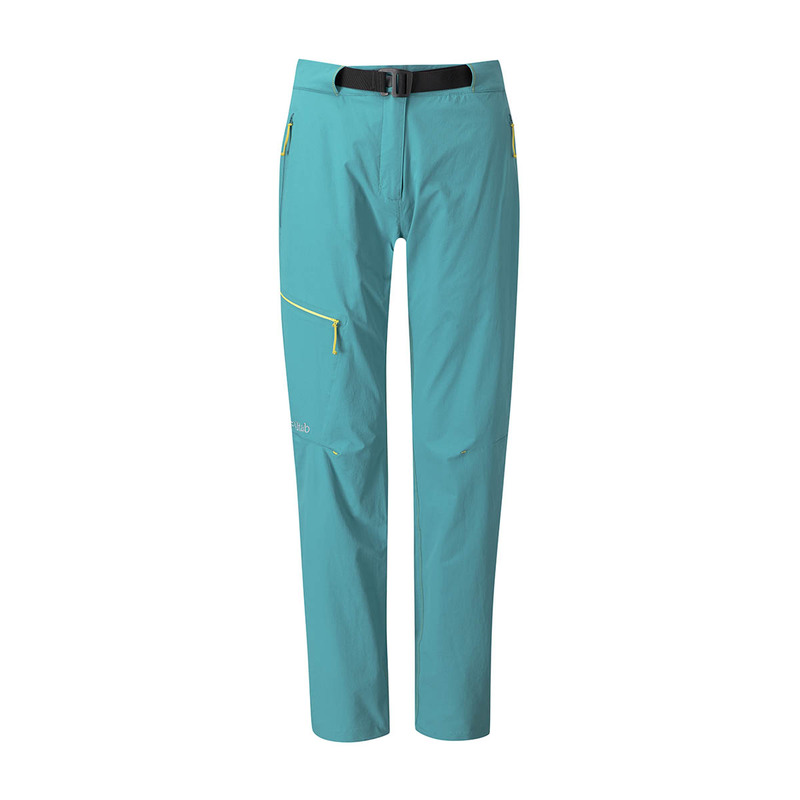 The Rab Fulcrum Pants Women’s use a highly mobile and stretchy Matrix fabric which is durable, wind-resistant, air permeable, and breathable, as well as fast-drying and moisture-wicking. A comfortable and weather-resistant pant for warm mountain environments. Designed for high degrees of stretch for freedom of movement, the Matrix softshell fabrics are designed for durability, comfort, and weather protection. These fabrics have wind resistance, air permeability for breathability, a high level of UPF protection, and a fast-drying, moisture-wicking nature.